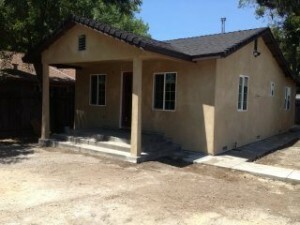 Cash Home Buyers Will Buy Your House in Sacramento! Who Will Buy Your House? Did you know that nearly 38% of all Sacramento, Stockton and Modesto Real Estate purchased is bought by Real Estate Investors that are cash house buyers and more often than not they pay cash for distressed houses? 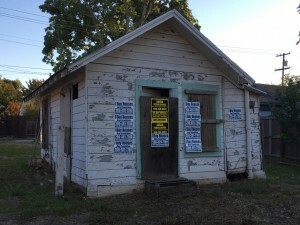 Without the Investor or cash house buyer and their efforts and money to purchase and fix up Sacramento Real Estate in need of repair, entire neighborhoods would linger in blight waiting for the next uptick in the market without a real solution for these types of houses. These distressed houses have no other outlet, no real estate representation and no retail buyers because most Banks are unwilling to loan money for houses that are in need of work, period. In fact, most houses that are in disrepair tend to sit on the market for years creating a problem for entire neighborhoods. No one would suspect it, but real estate investors are SAVING the Sacramento Real Estate Market Neighborhood by Neighborhood, Block by block and House by house. No one knows this because no one is reporting it, but real estate Investors in Sacramento are coming through to save local housing markets all over the Country and the Sacramento Real Estate Market is no different. When you consider that Sacramento California was in the Top 5 Worst Real Estate Markets during the housing crisis, no other single classification of buyer is contributing more to improve the blight of Housing in the Sacramento Real Estate Market than cash home buyers. These houses tend to be inherited, vacant, pre-foreclosure or bank owned, vandalized, deteriorating and in desperate need of major repairs. 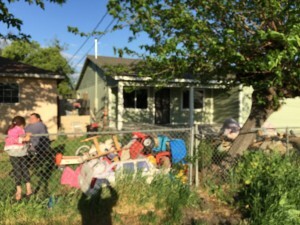 As such, not only aren’t these houses the nicest on the Block, in most cases they are nightmare properties for the owners, the neighborhoods and the City and County of Sacramento with existing tax liens and multiple code violations. 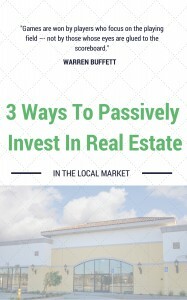 They often have grass over two feet tall, dead trees and shrubbery, debris, they have structural issues and roof lines that are deteriorating and they certainly leave most home buyers wondering why anyone would invest a single penny into these properties. 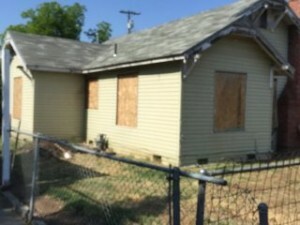 They are the one of many hundreds of Houses in every neighborhood of the Sacramento Real Estate Market that create the blight, attract the homeless, gangs and vandalism in their respective neighborhoods. 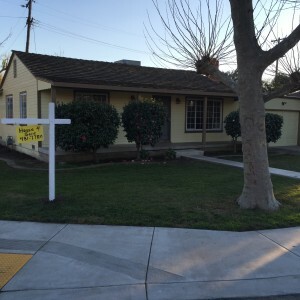 So when homeowners as “Who Will Buy My House in Sacramento”? Know that your best option is a cash home buyer and they will pay cash. This is the story of E Vine St, Sacramento, CA. 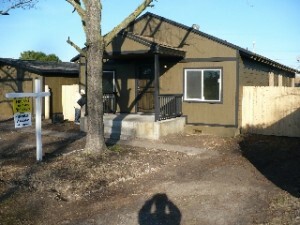 It is a 4 Bedroom 1.5 Bath house that has been completely remodeled. 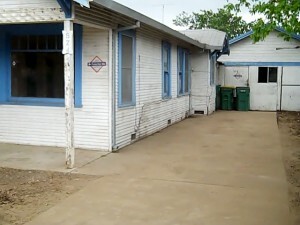 It has been transformed from the UGLIEST House on the block to one of the prettiest and it did not happen by accident. When we purchased this inherited house there were so many issues of tenant vandalism and deferred maintenance that we created a plan to rehab the entire house. The detached Garage that was literally falling down. The roof was practically nonexistent and the west side of the structure had so much water damage that it needed to be completely re-framed with new studs and siding. 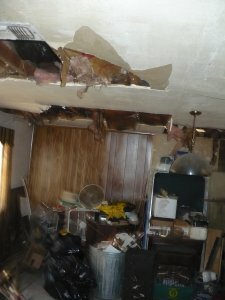 Major repairs were needed to the house which had structural as well as electrical and plumbing issues. The water heater and Air Conditioning Units were stolen, the cast iron water pipes under the house were so badly corroded that when water service was restored to the house there was virtually no water pressure. The interior of the House was so badly damaged by previous tenants that nearly every piece of drywall in the house needed to be replaced. A room addition with concrete sub-floor had so much structural damage that the 20′ x 25′ room needed to be rebuilt from the foundation up. Every door and window was also replaced in the entire house and the main Bathroom needed to be gutted and redone. An interior laundry room was exposed to the elements and was a haven for all kinds of living creatures. The Kitchen was positioned in the back of the house and isolated by a solid wall that completely precluded any light from entering. We removed the wall between the Kitchen and the living room that completely opened the whole house up. In the Kitchen we installed new Maple Cabinets, a large stainless steel sink and Black Granite Slab countertops. The exterior of the front of the house was redone in wood siding and repainted in new colors. The Front porch was reinforced with wood post that replaced the decorative rusted out Iron supports that had been there for years. The property is clean and beautiful and the neighbors are ecstatic as property values have increased because of the investment made and the sale of one single house. 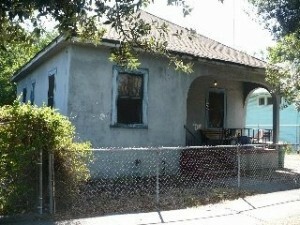 My name is Peter Westbrook and I am a real Estate Investor in Sacramento, CA. We buy houses and we pay cash for Sacramento Real Estate. 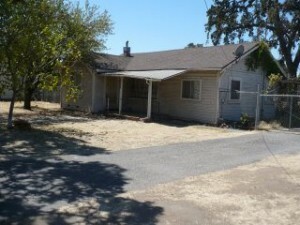 If you need to sell you Sacramento house and you cannot afford to fix it up give me a call and I will make you an all cash offer. I can be reached at 209-481-7780 or you can send me an email to peterw@westbrookrei.com and I will be happy to come out and evaluate your house for free.